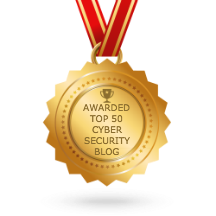 Upcoming Privacy Insight Series Webinar: Managing Multiple Compliance Priorities – GDPR, CCPA, HIPAA, APEC, ISO 27001, and More. 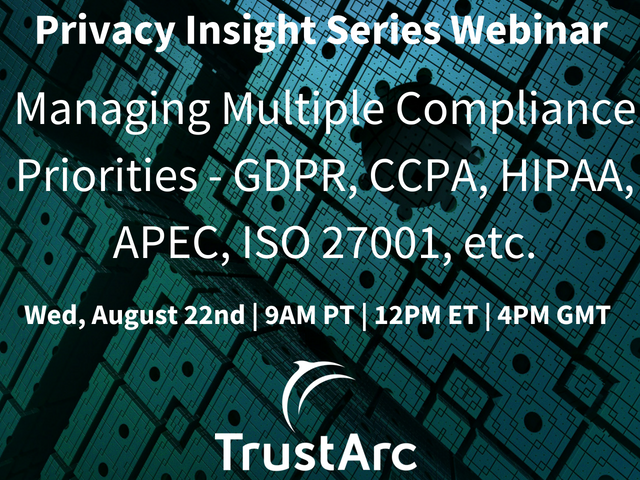 TrustArc General Counsel and Chief Data Governance Officer Hilary Wandall (CIPP/US, CIPP/EU, CIPM) will present the next webinar in the Privacy Insight Series: “Managing Multiple Compliance Priorities – GDPR, CCPA, HIPAA, APEC, ISO 27001, etc.” on August 22 at 9am PT. At TrustArc, Hilary oversees all legal, regulatory and policy matters and manages Policy and Data Governance and International Regulatory Affairs teams. This webinar will review some of the top global compliance priorities and provide insights and best practices into how to balance multiple, complex compliance priorities across your organization.